Ordinary Expenses- Are “common and accepted” within your industry. For example, an ordinary expense for a landlord could be paying a contractor to fix a roof leak. Necessary Expenses- Are “helpful and appropriate” to your business. For example, a necessary expense for a landlord could be buying Quicken Rental Property Manager to streamline property management. If you are going to claim anything on your taxes, you must be able to provide proof in case you are ever audited. You must keep detailed and accurate records of all income and expenses relating to the rental property. The following are common tax deductions. They do not apply to every landlord, rental property owner, or property investor. For example, many of these deductions do not apply to those who rent out homes or condos which are also considered their residence. The property is considered a residence if you used it for personal use for greater than ‘X’ number of days in that year or ‘X’% of days that the property was rented out at fair market value. (These numbers will be listed in the current tax year's Schedule E or you may consult with your accountant). Improvements to the property such as new kitchen cabinets or a brand new roof. The way you depreciate an asset will differ depending on what the asset is. Different assets, such as a refrigerator or a building, will have different useful lives and will need to use different types of depreciation, such as straight line depreciation or accelerated depreciation. Consult the IRS or your accountant to determine the type of depreciation to use and the useful life of each asset you are trying to depreciate. Real Estate Professionals-f you are considered a real estate professional (certain rules apply such as working at least 750 hours a year on real estate related activities), any rental real estate activities you participate in are not considered passive activities. Deduct up to $25,000 in passive rental losses if you make under $100,000. Your interest in the rental activity has never been less than 10% for the year. The amount you can deduct will decrease for every dollar your income is above $100,000. You will not be able to deduct any passive activity loss once your income reaches $150,000. You may deduct the expense of repairs that have occurred in a given tax year. Repairs are considered work that is necessary to keep your property “in good working condition”. They do not add significant value to a property. Repairs include things such as painting. It is important to understand that all maintenance you do on your property is not considered repairs. The IRS makes a distinction between improvement and repairs. Improvements are seen as adding value to the property. Improvements cannot be deducted in full in the year they incurred. Rather they must be capitalized and depreciated over their useful life. ny applicable registration or license fees and taxes. If you do not have your own vehicle, you can deduct your public transportation expenses for business purposes. Interest you have paid on mortgage payments or other business loans. Interest on car loan payments (but only the part used for business purposes). Interest paid on credit cards used solely for business purposes. Unfortunately, entertainment costs do not refer to costs used to entertain yourself. Entertainment costs mean those incurred during business dealings. For example, taking a client to your country club or giving a potential investor two tickets to the theater are entertainment expenses. Fees paid to other professional advisers. If you hire someone to do work for you, you can deduct the wages you pay to them as business expenses. This includes the wages of both full time employees, such as a property manager or a live-in superintendent and part time employees, such as a contractor you hire once to fix a roof leak. You can deduct your property taxes, real estate taxes, and sales tax on business related items that are not considered depreciable for the year. You can deduct fees for tax advice and the preparation of tax forms related to your rental real estate property. You cannot, however, deduct legal fees from defending title of the property, to recover property or to develop or improve property. You must add these types of fees to your property’s basis. You can deduct the premiums you paid on most types of insurance including health, accident, causality, theft, flood, fire, liability, vehicle, and health insurance for your employees. 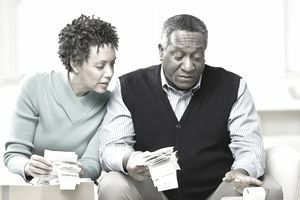 *You should always consult the IRS or a certified accountant to decide what deductions apply to your specific situation.